Well, that was pretty quick! Just after being announced and catching some decent media exposure, the Lenovo Flex 11 Chromebook has become available for purchase from at least one outlet. If you remember, we received and unboxed the Lenovo N23 Yoga Chromebook not too long ago, but we are holding out on the Flex 11 for the review. We learned from Lenovo that the N23 Yoga Chromebook is the EDU version of this particular model. The Flex 11 is the same device with a paint job, but will be marketed to the consumer side. As it is the device that seems more people will know about and be considering, we wanted to hold off on the review until we get our hands on one. Problem was, we weren’t sure when this device was actually being released. Looks like that day is today! 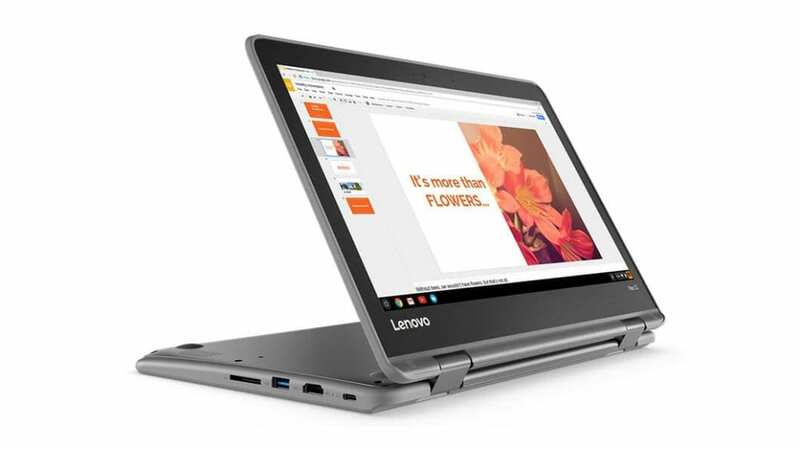 You can head over to Lenovo’s website right now and purchase the Flex 11 for yourself. We are waiting on a review unit, so I’ll hold back comments on whether you should or shouldn’t be eyeing this Chromebook for your home or office. The N23 Yoga Chromebook has been a decent little performer, though. That’s all I’ll comment for now. We’d fully expect to see this thing become available on Amazon in the coming days as well. From any retailer, it is good to see this device get announced and come up for sale in quick fashion. If you prefer the black color, you can still opt for the N23 Yoga Chromebook from Amazon as well. Perhaps Samsung will follow suit soon.